It has been a long time since we saw an update for Gmail for Android, and today Android users get a long awaited update for Gmail which brings in tons of exiting new features to make your mobile email experience even better. Latest version 2.3.5The latest version of Gmail for Android can be installed on any Android device running 2.22.2/2.2.1(Froyo) and higher2.3.x(Gingerbread). This update helps save battery by giving users option to select only the labels that they want to sync and thus reducing data costs. 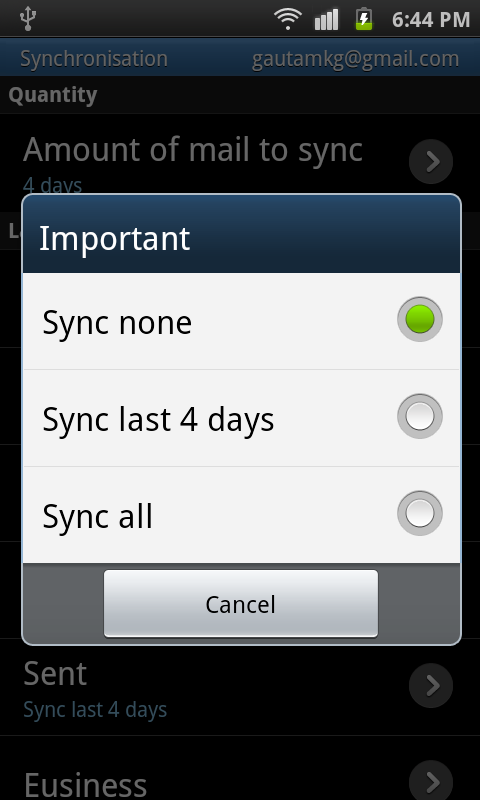 You can now set a different ringtone for each of the labels you have chosen to be synced. You can also turn off notification, change ringtone and set whether to vibrate or not when you get the notification for a particular label. 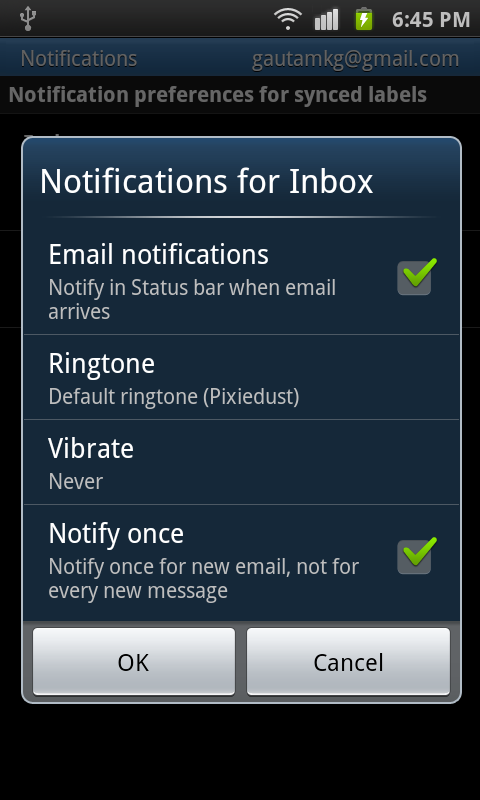 You can also set it to notify you only on the first new email. You can now change setting for "show images". You need not press show images button each time you receive a mail with images, now you can set always show images from a particular sender. 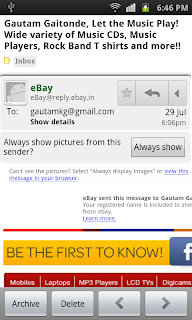 This way Gmail will automatically show you the images in the email received from that sender. 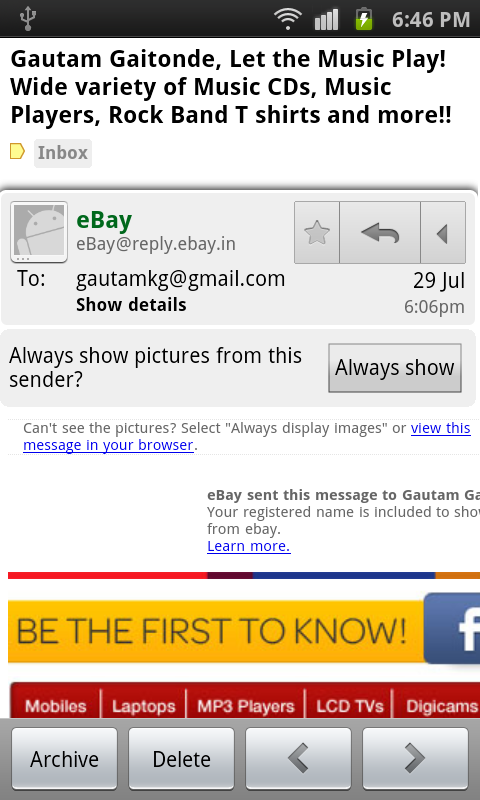 A very nice feature which Google has finally introduced to its Android mail client. Now you can choose to set message actions that you see on top of your message to, Always show / Only show in portrait / Don't show. To set this you need to go to settings in that you will see General Preferences and Account settings for your individual Gmail accounts, select General Preferences and click on Message Actions to select one of the above mentioned options. Another important feature is the ability to download attachments you received in the mail. Before this update you were only to preview the attachment but now Google has provided us the facility to download the attachment for offline viewing. Along with all this Google has also improved performance of the Gmail app, you can now have a better email experience on your Android devices. 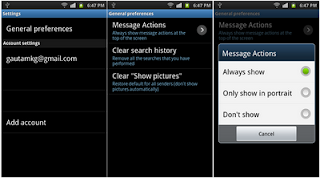 To download this update, you can either visit Android Web Market or download using AppBrain.